Wearing red Lia Stublla gowns that featured thigh-high slits, both Sunny and Shruti attended a recent awards event. 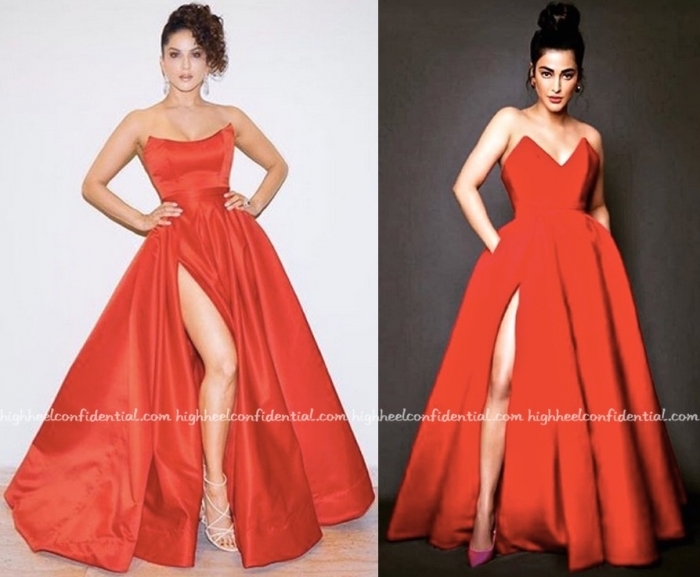 Odd that the label would send practically the same gown to two actors for the same awards night. That aside, prefer Shruti’s look over Sunny’s; pink pumps that mirrored the pink lip worked. On Sunny, the updo was too Eighties for the gown, and the neutral strappy sandals didn’t quite work; should’ve just picked black ones instead. Wearing a Shivan and Narresh embellished dress, Shruti attended the GQ Men Of The Year Awards on Thursday evening. While I love the lip color, I found the rest of the finishing touches underwhelming, especially those sandals. The sleek hair feels too formulaic and with so many options available in the market, the black sandals just felt like a lazy pick. 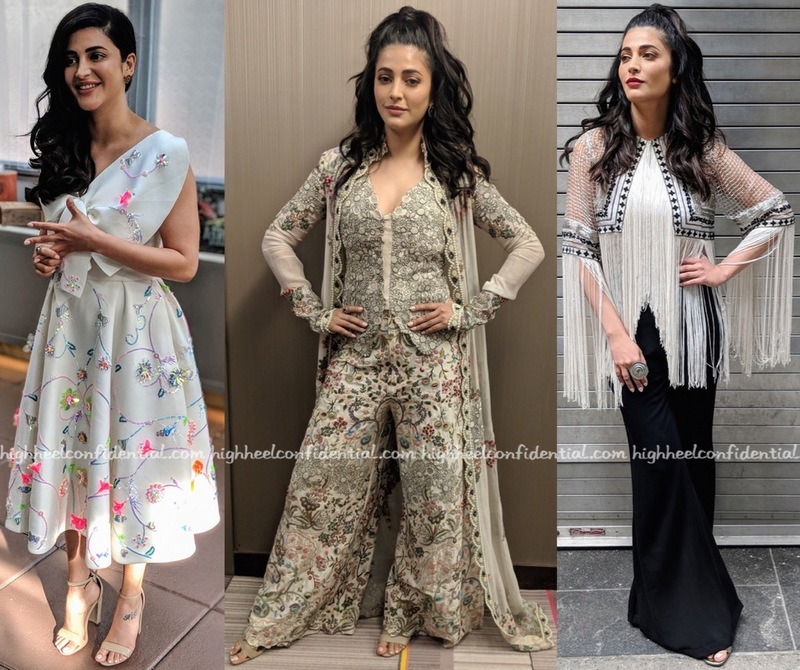 While in New York for India day parade, Shruti was photographed sporting three very different looks during the course of festivities. As much as we love an Anamika Khanna sighting (below, centre), the separates seemed to overwhelm Ms. Haasan. And the hair didn’t help her cause either. Wasn’t much of a fan of the fringe Ridhi Mehra top either. Of the three looks, the white Manish Arora dress was easily my favorite. Find more pictures on Shruti’s instagram.